This post continues my chronicle of moving to a new apartment in Japan. I just finished cancelling my old contracts, and now I'm ready to move in--almost. Before I get the key, I need to make some important phone calls. After a relaxing weekend, which may or may not have involved packing things into cardboard boxes, it's time to get back to work. A gaping hole in my moving plans that I've been blissfully ignoring until now concerns my utilities. I've gotta tell the electricity, gas, and water companies that I need those services stopped at the old place and started at the new place. Two posts back, I mentioned that my contracts will overlap. I'll have access to both my old and new apartment for a period of two weeks, and I plan to move my belongings over that period, a carload at a time. What I'm not sure is how this will affect my utilities. For example, can I have the electricity turned on at the new place before I have it shut off at the old place? This is a big deal because I plan to be moving my stuff at night after work. I'm particularly worried about the gas company because in the past, gas companies have required that I schedule a 立ち会い (tachiai), or face-to-face meeting on my doorstep to have the gas turned on or off and to settle the final bill. How will this meeting play into my timing requirement? Will I have to schedule two appointments? These questions and others in mind, I start calling my utility companies, starting with electricity. (The phone number for these places, by the way, is listed on your respective monthly statements. When moving into a new place, the phone number of all the associated utility companies will be written on the contract and 重要事項説明書). 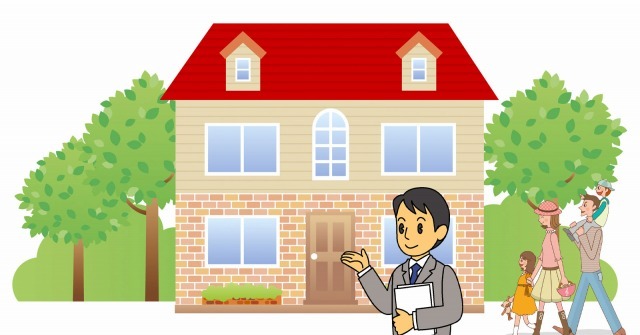 I tell them I'm moving, and the representative asks whether I'm moving in (使用開始ですか?) or moving out (使用停止ですか?, although I think they worded it differently, like お止めですか?). I explain my situation; that I'm moving out of one apartment in their service area and moving into another. She says, OK, let's start with the one you're moving out of (お止めの方から始めます。 or something along those lines). An electricity statement looks like this. I'm asked to start by providing my customer ID. Fortunately I've brought some old utility statements along and have them set out in front of me. Then I'm asked for my current address, which I provide, as well as the name on the contract. After confirming the name, she asks me if I am the person I've just named (ご本人様ですか? ), not as a jab of disbelief that a foreigner is speaking Japanese on the phone, but rather to confirm my identity and authority to alter the contract. Once those details are settled, she asks when I want the electricity turned off at the specified address. I ask those timing questions I've been wondering about--can you turn it off after you turn on the electricity at the new place? She says that's no problem, so I give her my desired date. Then we proceed to the new address. I provide the address, which they confirm is within their coverage area. She asks when I want the electricity turned on; I say, "How about right now?" She says that's no problem. Just flip the breaker when I get into the new apartment and the electricity should be working. Since they already have my bank account details, I don't need to repeat them, but they do ask me as another means of authentication to say the name of the bank where the billing account is held. And with that, she reminds me to flip off the breaker at my old apartment when I move out and we bid each other adieu. Well, that wasn't so bad! One call down, two to go.